Marilyn June Rinke (nee Nyberg), age 88, of Forest Lake, Minnesota, died peacefully in her home on November 5, 2018. She is preceded in death by her son, John Patrick. Marilyn will be forever loved and remembered by her husband, Charles, of 62 years; her daughter, Carol (Jim) Hart; her son, Charles, Jr. (Robin) Rinke; grandchildren, Kristin Hart, Erika (Joseph) Nieves, Alyssa Hart, Sam (Jessica) Rinke, Sophia (Aaron) Johnson, Phoebe (Alex) Stanford, and seven great-grandchildren. Marilyn was born on September 14, 1930, in Minneapolis, Minnesota, to Swedish immigrants, Elsa and Frederick Nyberg. She attended Gustavus Adolphus College. She retired from Honeywell after 22 years. 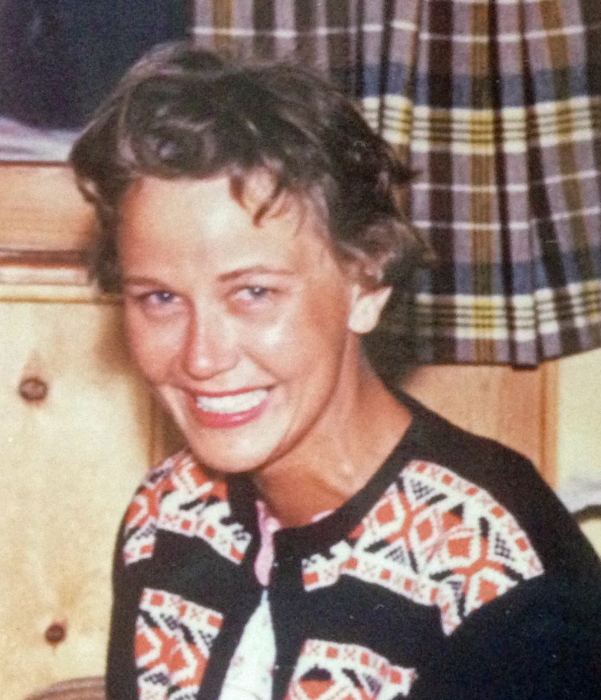 She loved her Swedish heritage and traveled to Sweden several times. Marilyn had a great sense of humor and was loved by everyone who got to know her. She loved life, her family, antiquing, golfing, fishing, bowling, and yes-hunting. She will be in our hearts forever. The family will honor Marilyn’s life in a private family celebration.